SixSigma.us offers several training options in the Las Vegas area. In addition to Yellow Belt, Green Belt training and certification and Lean programs, we also provide our popular four week Black Belt option in Las Vegas. The four week Black Belt includes two weeks of our Green Belt training and certification program and two additional weeks selected from our Black Belt after Green Belt. Students registering for all four weeks at the same time will get a discounted rate of $6500. The four week Black Belt also allows individuals from the same company to pursue Black Belt and Green belt training and certifications together, which promotes synergy and flexibility. In addition, we offer a number of onsite options, including our Six Sigma Champion course which is perfect for companies just beginning the implementation process. For the Six Sigma Premium Upgrade please follow this link. Hilton Grand Vacations Suites at the Flamingo is ideal for the traveler who loves being on the Strip and appreciates the ability to retreat to the comfort of luxury living. 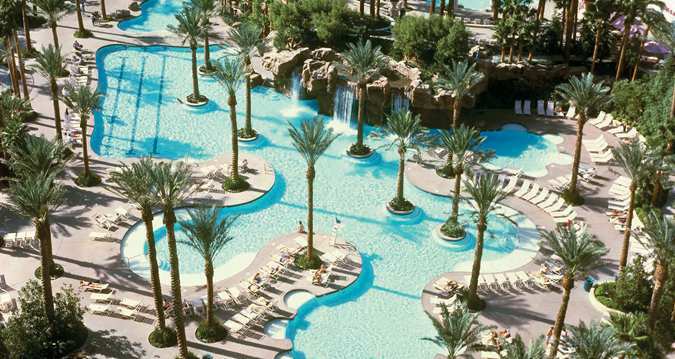 Positioned on the most famous corner of the Las Vegas Strip along with Bally’s, Paris, Caesars and the Bellagio, located on the grounds of the Flamingo Hotel, this hotel is a resort within a resort. Studios, one and two-bedroom suites afford business and leisure travelers an opportunity to relax overlooking rushing waterfalls, lush tropical gardens and a magnificent swimming complex. Be sure to visit The Go Pool at the Flamingo Las Vegas for the hottest party in Las Vegas! The themed pool parties are hosted by some of the city’s best DJs providing the place to see and be seen. Guests must be 18 years of age or over to attend The Go Pool and Hilton Grand Vacations guests enjoy free admission, compliments of the Flamingo Las Vegas. Flamingo Las Vegas pool season extends from Memorial Day through Labor Day each year, but may continue through November, weather permitting. Restrictions may apply at the Flamingo Las Vegas and the dates are subject to change. 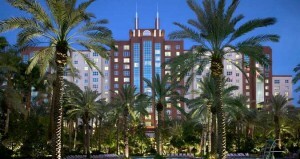 Call Hilton Grand Vacations at the Flamingo in advance with any questions about available dates. Hilton Grand Vacations guests interested in a family-friendly pool environment can enjoy the pool on-site at the hotel. Additionally, Hilton Grand Vacations guests enjoy free admission to the family-friendly pool next to The Go Pool at the Flamingo Las Vegas. Convenient to the I-15 Freeway and situated at a Las Vegas Monorail Station, you’ll find easy access to nearby shopping which includes the world renowned Fashion Show Mall and the Las Vegas Premium Outlets. Plus it’s just 4 short miles to the McCarran International Airport, Las Vegas Executive Air Terminal and Signature Flight Support. 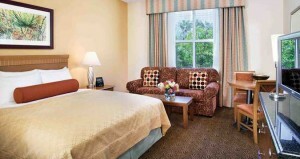 With many different area activities to pursue, you will have no problem keeping entertained. Famous area attractions include Hoover Dam, Lake Mead, Red Rock and the Grand Canyon, as well as all the great shows and restaurants. We invite you to discover what the full service Concierge Staff can do to make your trip and every visit to Las Vegas an unforgettable experience.